SARAJEVO, BOSNIA AND HERZEGOVINA. 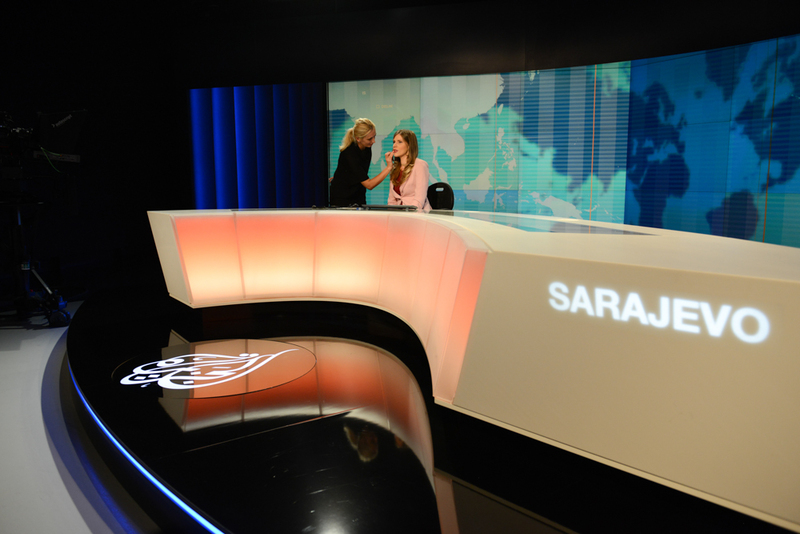 (L-r) Makeup artists Esefa Zornic, 30, touches up news anchor Marina Ridjic, 28, just before going on air on Al Jazeera Balkans in the BBI Center, which was designed by architect Sead Golos, on October 10, 2014. Qatari-financed Al Jazeera Balkans launched in November 2011 and is an anchor tenant of the BBI Center.